We’ve been doing the Russell Rd route for most of summer, but now that it’s getting dark earlier (sunset at 4:45 predicted in December! 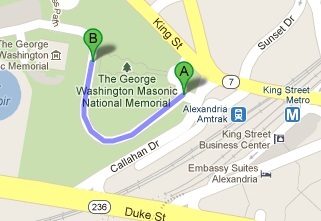 ), we’re probably gonna try switching to the Masonic Hill route. Both routes are roughly 30 minute workouts and are designed to accommodate runners of all different paces. Run Start: From KNOX, we head out as a group toward the route start. 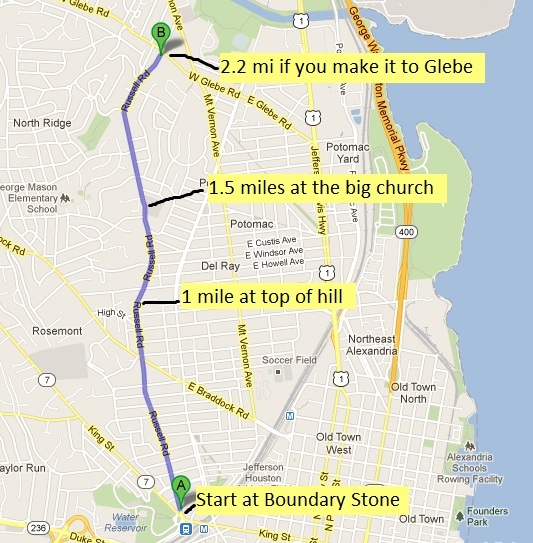 Russell Rd:Starting together, you go out and back along Russell Rd, with the turn around at 15 mins, wherever you are. Or try going 16 out-14 back for a negative split. No one's ever made it to Glebe and back in 30 minutes yet. 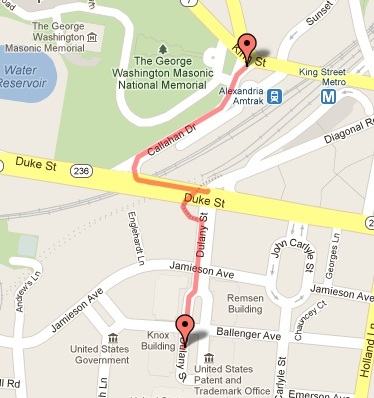 Masonic Hill Repeats: Go up and down as many times as you can within 30 minutes. It’s not as bad as it looks, but will get your heart rate going for sure. You can try focusing on getting familiar with your body’s aerobic threshold while going up, and practicing moving your feet quickly on the way down. Changing the Out and Back to go along Eisenhower Ave could be another possibility once the sun starts setting real early. Winter is coming. We’ll see how long we can run! For latest Group Run info, visit the Workouts page. ← Running injuries- we all get them!